Innovation is what appeals to the modern woman’s sensibilities. Ethnic attires in their earthy charm, when merged with Western accents, turn from an innately traditional backdrop to reflect a contemporary spirit. 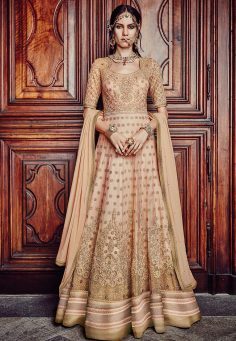 The slim contoured Mermaid cut lehnga came into vogue as contemporary women looking for a flattering yet rich couture picked it up. 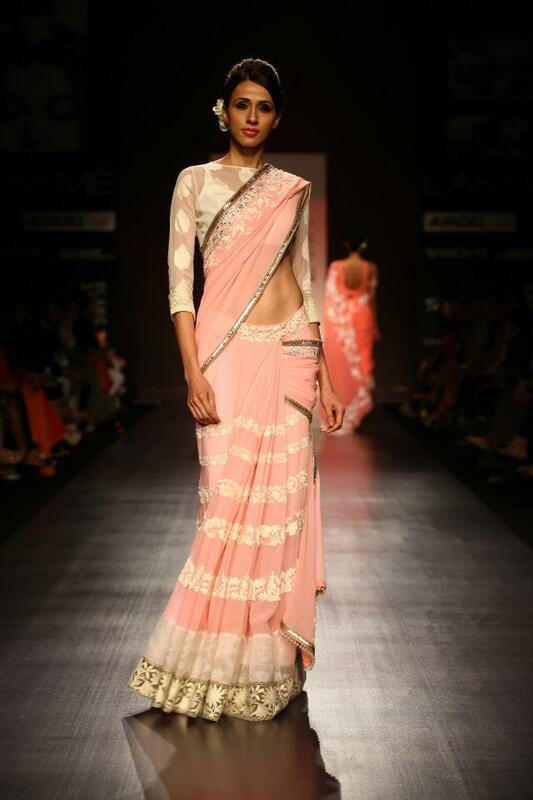 The lehenga style sari fused the sensuality of the sari with the free movement of the lehenga and spelt instant popularity. Ethnic innovators took the Western skirt, stitched it up in traditional Indian fabrics and gave it patchworks, block prints and more. 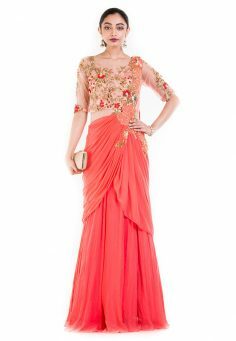 It is a fusion of the Indian Saree and the western gown. Read more. 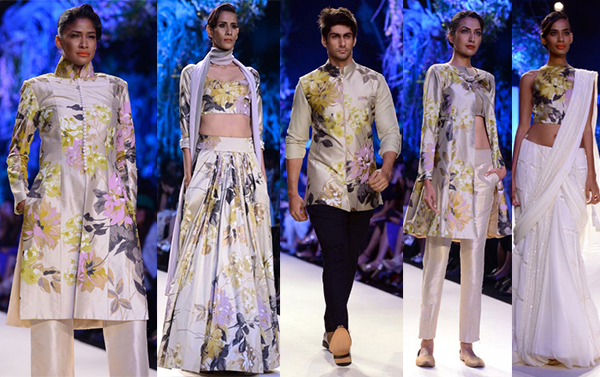 It is a fusion of two ethnic Indian outfits merged into one bea... Read more. Hip-length coat or jacket, mostly worn by men. It has a Ma... Read more. 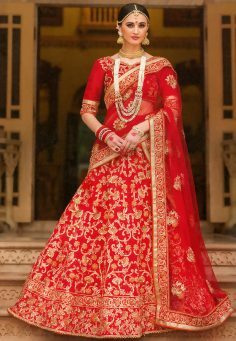 A Layered Lehenga, as the name suggests, has several laye... Read more. 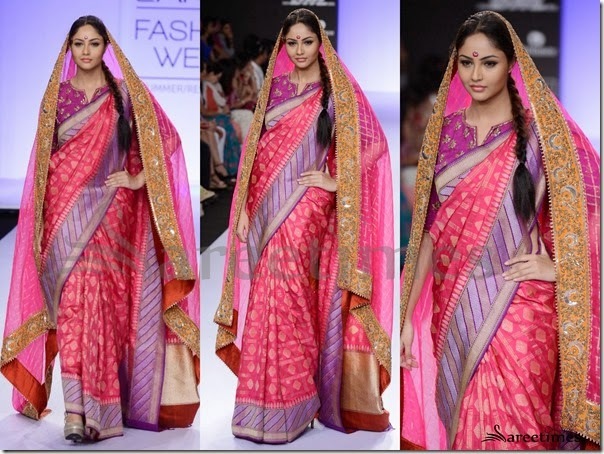 A traditional form of Indian ethnic wear that is sporte... Read more. 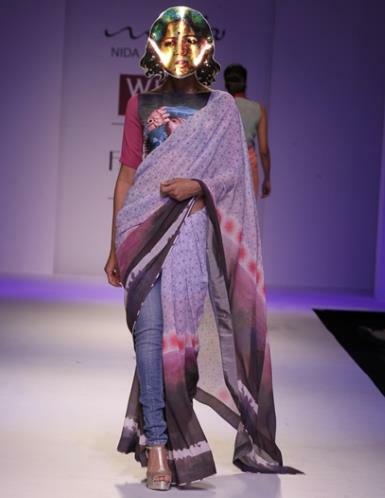 A unique and innovative saree draping style developed by Indian fa... Read more. 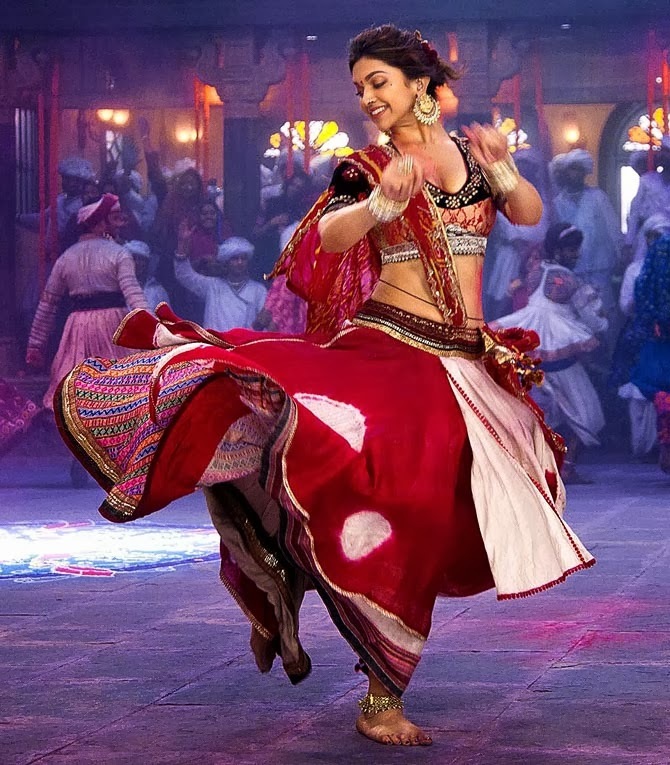 Introducing you to the wow saree from Bollywood. 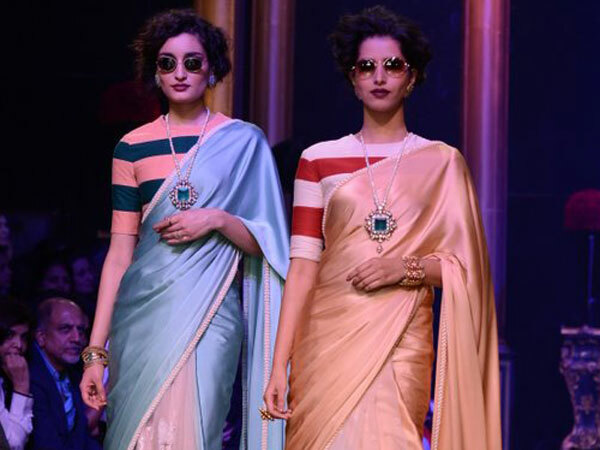 Here's why modern women vie for these sarees. Read now.